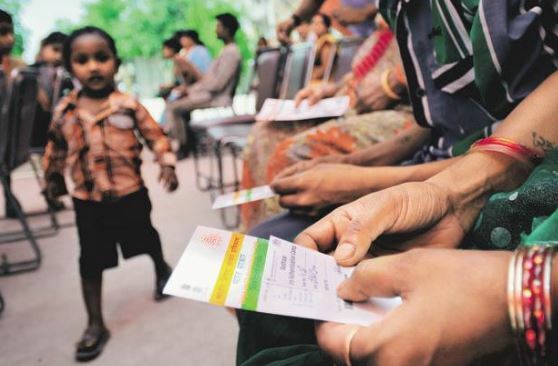 Home » Aadhar Card » Why Aadhar Card Is the Must for Health Scheme? Hope you might be aware of the benefits of having Aadhar Card and linking Aadhar Card number to various welfare schemes. Serving as identity proof, address proof etc., Aadhar Card has now revolutionized the world of health care industry. And now the Government has taken many measures to completely eradicate even the traces of tuberculosis by 2025. Recently the Government of India has made it mandatory to submit Aadhar number for people suffering from Tuberculosis. Do you know Why the Government is insisting the importance of Aadhar Card? There are many welfare schemes organized by the Government but all these schemes have been siphoned off by the bureaucrats & middle men. This is the reason behind why Aadhar Card is the must for all schemes especially when it comes to health sector. If you don’t have the Aadhar Card, you can also avail the benefits offered by the Government with the help of Aadhar Enrollment Number, a copy of the request made for Aadhar Card, and also all other valid proofs including: voter identity card, PAN card, bank passbook, and ration card. Still the date, India does not have the proper framework for providing health insurance for the needy people. As per the National Health Policy 2015, effective treatment can be availed from both public and private sectors at low premium rates. By targeting this health insurance on the basis on Aadhar Card, the bank account would be linked directly to insurance schemes and premiums can be directly deducted from the bank account. A child’s birth certificate can be linked to his/her mother’s Aadhar Card. This would update and keep track of all the records of the mother simultaneously. Enrolling your child right after will ensure the better delivery of entitlements and services under Integrated Child Development Scheme and various government run programmes. This health mission of government is greatly linked to the Aadhar Card. Immunization is the key to protect children from life threatening conditions that preventable. Linking the child birth with the Aadhar of Mother’s would help in maintaining regular track of immunization and send alerts to your registered mobile number when the next due for immunization arrives. Whenever the person is admitted in hospital, his/her medical records could be checked easily if the details were already linked to the Aadhar database. In case, if the patient is transferred from one hospital to another, necessary reports and scans can be accessed easier by accessing the database. Claiming health insurance with all medical reports and bill receipts seems cumbersome. But Aadhaar card linked with bank account will make easy to pay premium as well as claiming health insurance. When a patient lost his medical reports or need to consult a new doctor he/she is compelled to take medical tests which leads to waste of time and money. But linking your medial details to the Aadhar, your doctor can see the medical reports in a digitized format which makes it easy for them to understand the problem and treat it. Aadhar has the potential to improve health outcomes, reduce medical errors, and save you both time and money. If you’re in need of medical care on a business trip to North India or South India, you will receive the appropriate care if your medical records are linked to your Aadhar Card. Hope this blog gives you a detailed picture on how Aadhar Card is helpful for you in receiving health and welfare schemes from the Government of India.